NEW YORK - The New York Yankees are close to signing Aroldis Chapman. 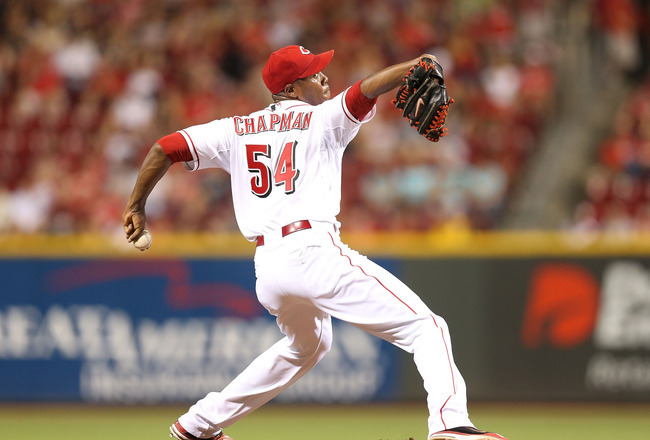 Chapman had a tentative deal with the Dodgers until reports surfaced that involved domestic violence. Reportedly, the contract involves 5 players with Chapman moving to New York and Eric Jagielo, Caleb Coltham, Rookie Davis and Tony Renda heading to Cincinnati.